The Insurance Research Council (IRC) estimates that about 1 driver out of every 7 drivers in the United States is currently uninsured. * However, according to the IRC, the number of uninsured drivers can top 25 percent in some states. According to the IRC, California had the highest number of uninsured drivers (4.1 million), followed by Florida and Texas (3.2 million and 1.6 million, respectively). Oklahoma had the highest percentage of uninsured drivers, at 26 percent, and Massachusetts had the lowest, at 4 percent. 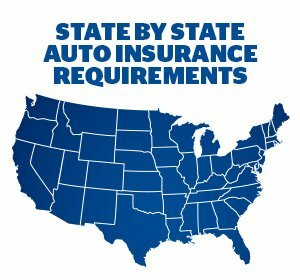 Car insurance requirements to carry uninsured motorist coverage vary by state. Although many states require drivers to carry this coverage, it is not required by every state. Being involved in an accident with an uninsured or underinsured driver can result in substantial out-of-pocket costs not covered by a basic liability insurance policy. If your insurance carrier offers uninsured or underinsured driver coverage, it may be additional coverage you will want to add, considering how many uninsured, high-risk drivers are out there. Covers you, your family and your passengers in an accident with an uninsured/underinsured driver. As a pedestrian, if you are hit by an uninsured driver, your policy may cover you. If I have “full coverage” I don’t need uninsured/underinsured coverage, right? Wrong. Many people believe if they carry “full coverage”, they are covered for every kind of incident – not true. “Full coverage” is a term often used to refer to the combination of liability, collision and comprehensive coverage – coverage does not extend to incidents involving uninsured drivers. In no-fault states, drivers simply file a claim with their car insurance company – and that’s it – it does not matter who is at fault. However, carrying uninsured/underinsured motorist coverage does provide additional financial protection. For example, if you’re injured in an accident with an uninsured driver, insurance won’t cover any lost earnings or pain and suffering compensation. Uninsured/underinsured coverage can be a life saver in helping cover costs. If you didn’t buy your auto insurance from Freeway Insurance, you’re paying too much. Request a free auto insurance quote from Freeway Insurance today and find out how much you can save. Get a free auto insurance quote online or by calling 800-777-5620.